Restoration of a stately brand. To find a way of presenting the brand’s rich tradition and quality that re-engages the hearts and minds of contemporary consumers, without alienating existing long-term devotees. 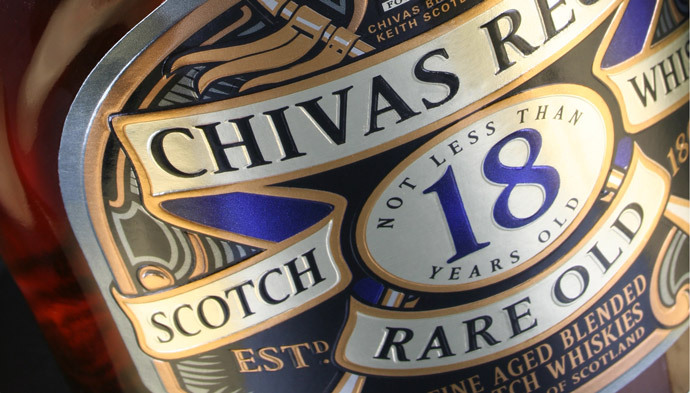 We found that no one disputed Chivas’ quality and standing, but many viewed it as “not a brand for me”. The core challenge was to make the look and feel of the brand more accessible. The new visual identity retains the brand’s hallmarks but in a very contemporary, elegant style. 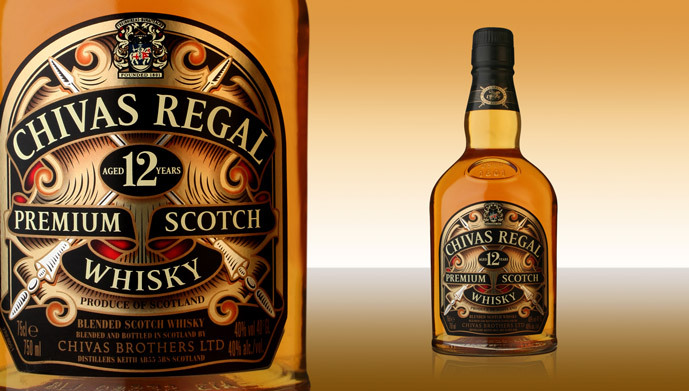 The most noticeable change was the shape of the bottle, taller with a new silhouette at the neck, reminiscent of the shape of a whisky still. 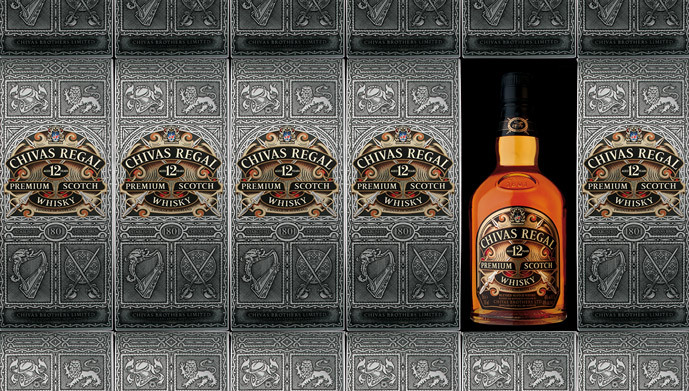 We made the label larger too, putting the Chivas Regal name proudly on show. Brand strategy, brand architecture, brand identity, packaging design.